Having a satisfying marriage is a good start. However, being with Jesus in your marriage will develop your spirit to become more like Jesus and enhance your future life in heaven. There is nothing like the challenges within marriage to give us the opportunities (and sometimes force us) to change our ways to those of Jesus Christ. 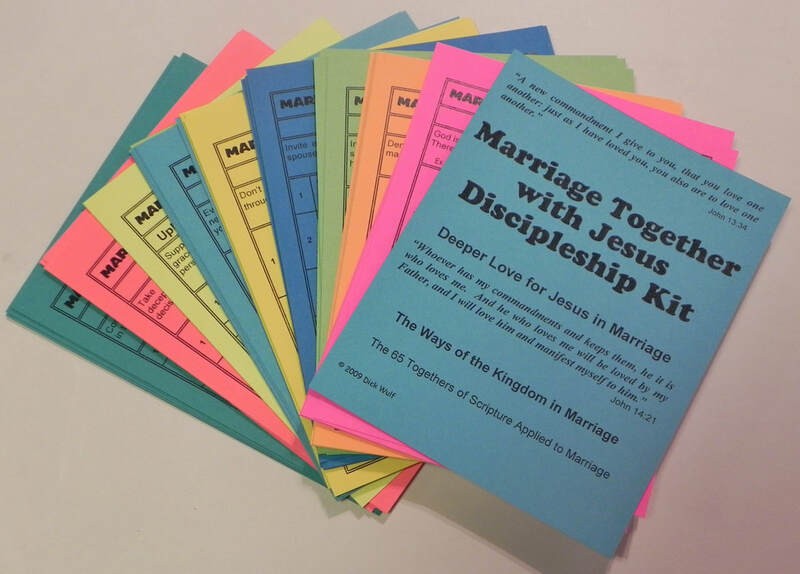 There is one card for each of the 65 Togethers of Scripture. 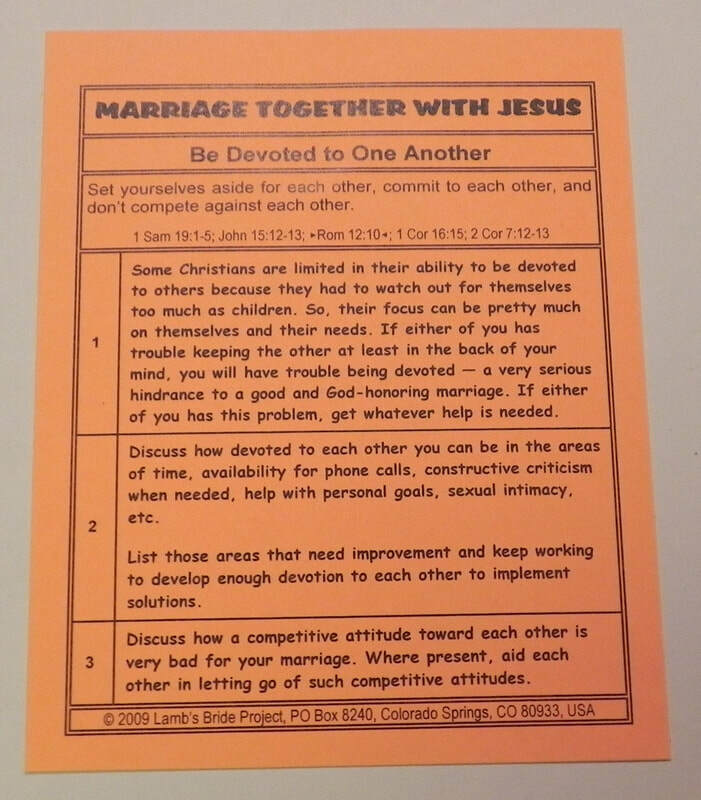 Each card suggests things that will help you as husband and wife better understand some aspect of biblical obedience and Christian love (the specific Together listed at the top of the card), and, hopefully empower you through the Holy Spirit to do it. 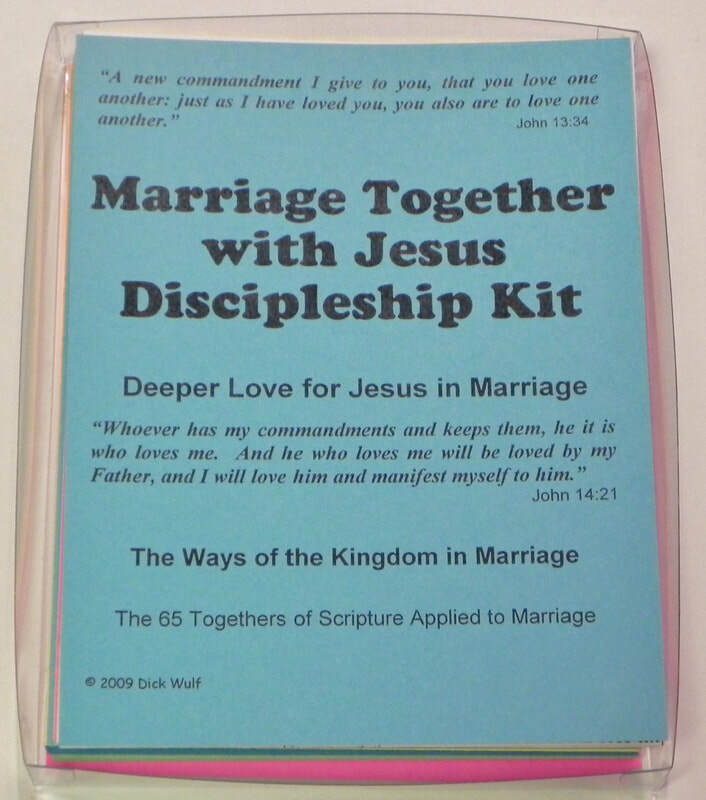 While you can do the cards in the order they come in the box, it is probably better to review the 65 Togethers and find which ones your marriage most needs now. Pray and the Lord will guide you in your first choices. Cards are left blank on the back so that you can write notes.